We’re often asked whether a remortgage to buy another property is possible. It is possible and from a financial viewpoint, is perhaps one of the best reasons to remortgage. Remortgaging to buy another property can be ideal for when you want to invest in buy to let or wish to purchase a second home. Depending on the above, certain lenders may be more suitable in terms of rates and remortgage fees. Our article will explore remortgages for buying other properties in more detail. You can also make an enquiry with a specialist who can provide you with information tailored to your own circumstances. Our advisors specialise in remortgages and have access to every UK lender. Getting a remortgage to buy another property is dependent on certain factors. Lenders will assess your unique circumstances to calculate whether or not a remortgage is possible. The first thing you’ll need to assess is the equity you have in your existing home. To calculate this, you first need to know how much your property is worth. You can use online guides to give you an approximate idea or you can arrange a valuation with a local estate agent for a more accurate figure. Lenders will of course carry out their own mortgage survey, but it’s important to know how much equity you have, before applying to remortgage. Once you know how much your existing home is worth, just deduct your outstanding mortgage balance. The remainder is your equity. If you own your home outright, it becomes ‘unencumbered’. You can remortgage a home even if you own it outright, this is called an unencumbered remortgage. Learn more about unencumbered remortgages here. The reason why equity plays such a big part in a remortgage, is because this is what lenders lend against. If you have no equity, then a remortgage isn’t possible. Even if you have little equity, there are lenders that may lend up to 95% LTV (loan to value), subject to other criteria. This bring us on to our next point. Loan to value – how much do you want to borrow? Although 95% remortgages are possible, lower LTV ratios can enable borrowers to more options and better deals. Lenders will also make assessments on borrowers themselves, such as age, credit score and the reason for remortgaging. If you wish to remortgage to buy another home, then a 95% remortgage may be possible. A remortgage to purchase a buy to let property will only have a maximum LTV of 85%. Properties abroad will be even less at 75%. This is all subject to other criteria, such as equity and affordability. Affordability – can you afford another property? By taking on a new mortgage, your monthly mortgage payments will of course increase. Lenders need to be confident that you can afford the new repayments. Lenders assess affordability in different ways. Understanding your lender’s criteria is key when remortgaging to buy another property. This is because certain lenders may lend more than others, simply because of the way they assess affordability. For instance, some lenders may lend 3x your annual income, with other lenders lending up to 4x and in certain circumstances even 6x your annual income! If you’re wanting to remortgage to buy another property, the chances are you’ll want the maximum loan amount possible. Lenders also differ in what income sources they’ll consider when making assessments. Some lenders will consider overtime, whereas other lenders won’t. The same goes for self-employed borrowers. Some lenders will require accounts for just 12 months, however other lenders require 2-3 years. When you start to assess all the possible variables involved, it makes sense to use a specialist that is aware of each lender’s criteria. Using a specialist can ensure you’re getting the best deal and the maximum mortgage amount possible. As our advisors also specialise in bad credit mortgages, we’re often asked, “Can I remortgage with bad credit?”. The simple answer is yes. The fact that you’d be using the funds to purchase another property doesn’t make a huge difference. What’s more important to lenders, are the types of credit issues you’ve encountered and how recent they were. As we’ve discussed affordability and LTV, applicants with adverse credit are generally offered lower LTV ratios when compared to clean credit borrowers. That said, it doesn’t mean to say adverse credit borrowers can’t obtain 90% LTV deals. It simply depends on the severity of the credit issues along with other variables. For instance, lenders will probe into whether or not credit problems were a one-off or if you’ve consistently had bad credit. Adverse credit remortgages can be tricky, but there are a number of specialist adverse credit lenders in the market. 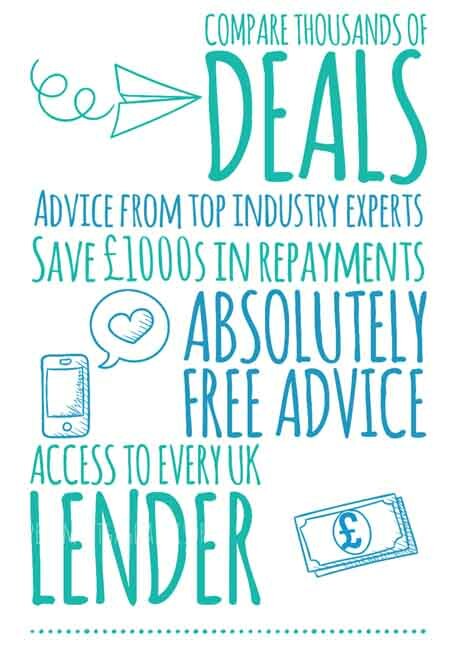 Our advisors have access to every UK lender, including specialist lenders. If you do have bad credit, then high street lenders are more likely to decline you. 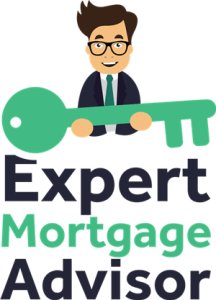 Having a specialist by your side can ensure that only the right lenders are approached, to maximise the chances of mortgage approval. Bad credit remortgage rates are also often higher than standard remortgage deals. That doesn’t mean to say you won’t get a competitive rate. Again, it all depends on your own assessment. In addition, the equity you have in your property will always play a huge part in how much you can borrow towards the purchase of another property. Read more: Can I remortgage with bad credit? Using a remortgage to fund the purchase of another property, such as a buy to let is possible. This is a common strategy for landlords, aiming to leverage their existing portfolio to grow it. Lenders assess buy to let property in a completely different manner. The majority of landlords will have interest only mortgages. What this means is, the capital of the property will still be outstanding. As a result, equity in buy to let properties tend to be lower than in residential homes. This is because homeowners are repaying their mortgage, as well as interest on the loan. By all means, this is not always the case, but it is common. Lenders will often only lend up to 85% loan to value if you wish to remortgage an investment property. This is usually calculated by assessing the rental income that the property is generating. Lenders may ask to see signed copies of tenancy agreements, in addition to bank statements, showing evidence of rental income, for the property you wish to remortgage. It’s also possible to remortgage a portfolio, with the aim of buying a residential home for yourself. There’s a multitude of options available. You can make an enquiry with an advisor now for further information. Our advisors can search the entire market for you and provide you with specialist mortgage advice.